The Normandy Landing, Cross Channel Invasion, Operation Overlord: the World War II event known by all these names, but most commonly referred to simply as D-Day, is the best known of all the war's pivotal moment. 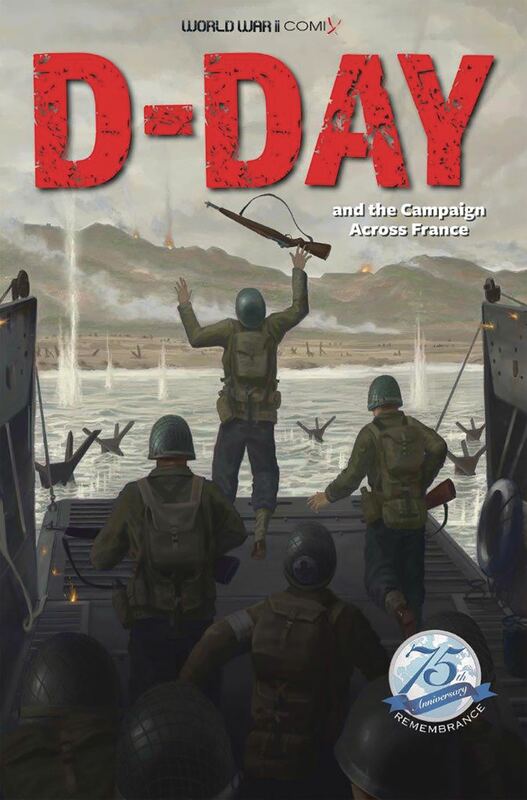 Seventy-five years after its occurrence, Monroe Publications and World War II Comix are pleased to present the story of D-Day as a graphic history. This 24-page work takes the form of a modern comic book, with cutting edge graphics and the most up to date factual analysis of the campaign. Also includes an episode of the serialized graphic novel Separated by War.